Local children, aged 10 to 13, will present an innovative potato pancake that they created especially for the occasion at the 10th Annual Latke Festival on Dec. 3 at the Brooklyn Museum. The youngsters came up with their latke during a recent session of the Cooks for Health program at the Williamsburg Community Center. 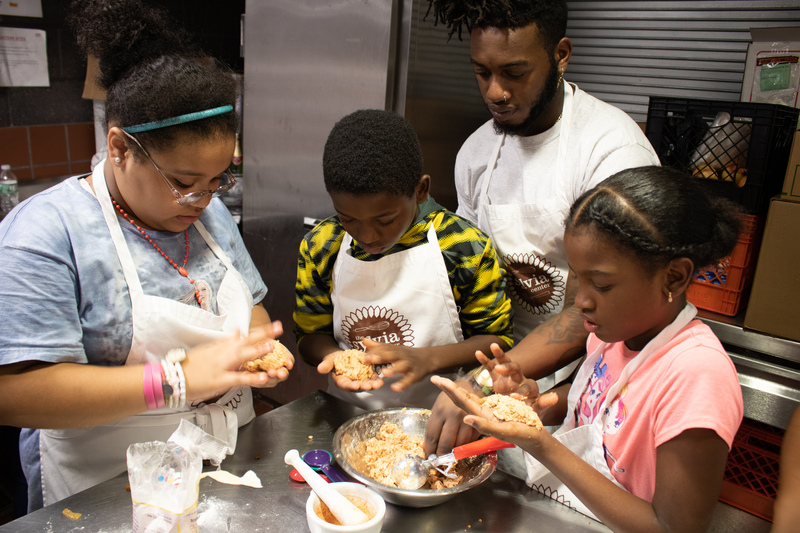 The program is one many youth development initiatives conducted by The Sylvia Center, a nonprofit nutrition and healthful cooking educator that works with young people in under-served communities throughout New York City. 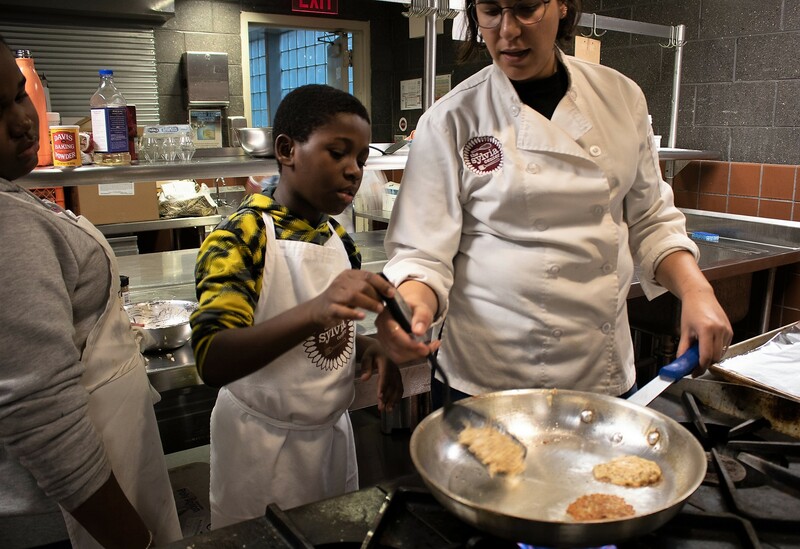 Cooks for Health Community Chef Samantha Pagan encouraged her students to think in terms of blending cultures by melding a traditional latke with an alcapurria, a Puerto Rican fritter made with plantain or yucca and stuffed with a savory meat filling. The results after the classes’ experimentation was a potato latke filled with a delicious beef mix seasoned with a ‘secret’ blend of spices. 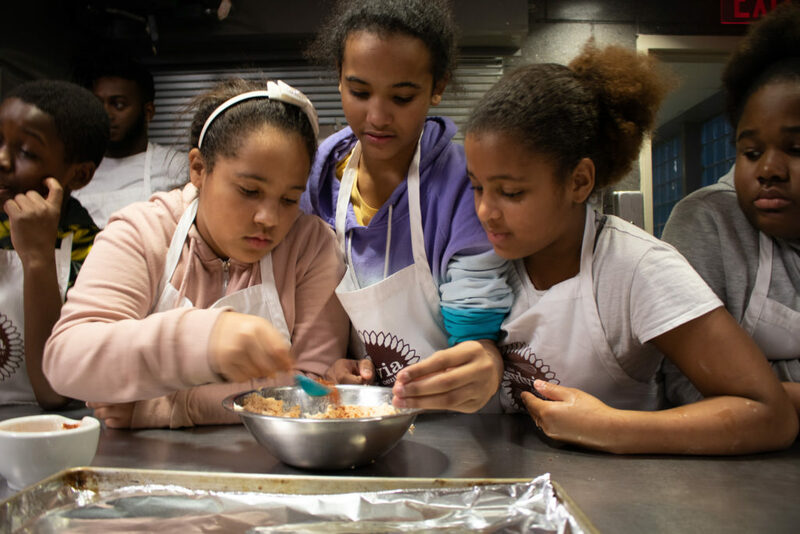 While working on the development of their signature latke, the children learned to retry ingredients they previously dismissed, like onions and cilantro. The Sylvia Center students’ dish will compete for Best Latke and Best Creative Latke with those of 25-plus restaurants at the annual festival celebrating the versatility of the potato pancake. Tickets to Latke Festival at the Brooklyn Museum may be purchased via www.latkefestival.com, the proceeds of which will benefit The Sylvia Center.